Professor Ian Hunter is currently pursuing two research themes, one concerns the history of early modern political and philosophical thought, and the other concerns the history of theory in the modern humanities academy. 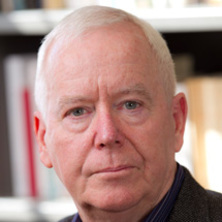 Ian Hunter is a distinguished international scholar working on the history of early modern political and philosophical thought, and on the emergence of theory in the 1960s humanities academy. His Rival Enlightenments appeared in 2001 and his most recent monograph is The Secularisation of the Confessional State: The Political Thought of Christian Thomasius (Cambridge: Cambridge University Press, 2007). In collaboration with Thomas Ahnert (Edinburgh) and Frank Grunert (Halle), he completed the first English translation of Thomasius’s works: Christian Thomasius: Essays on Church, State, and Politics (Liberty Fund, 2007). He has recently edited and introduced two volumes for the German edition of Thomasius's Selected Works. Recently published articles include ‘Kant’s Religion and Prussian Religious Policy’, Modern Intellectual History, vol. 2, 2005, 1-27; ‘The History of Theory’, Critical Inquiry, vol. 33, 2006, 78-112; ‘The Time of Theory: The Return of Metaphysics to the Anglo-American Humanities Academy’, Journal of Postcolonial Studies, vol. 10, 2007, 5-22; and 'A Jus Gentium for America. The Rules of War and the Rule of Law in the Revolutionary United States', Journal of the History of International Law 14, 2012, pp. 173-206. Recent book chapters include 'Natural Law as Political Philosophy', in Desmond Clarke and Catherine Wilson (eds), The Oxford Handbook of Philosophy in Early Modern Europe, Oxford: Oxford University Press, 2011, pp. 475-99; and 'Kant’s Political Thought in the Prussian Enlightenment', in Elizabeth Ellis (ed), Kant’s Political Theory: Interpretations and Applications, Pittsburg: Penn State Press, 2012, pp. 170-207. He is currently working on the theme of the persona of the philosopher, and the intellectual history of 1960s humanities theory. Philosophy, rights and natural law: essays in honour of Knud Haakonssen. Edited by Ian Hunter and Richard Whatmore Edinburgh, United Kingdom: Edinburgh University Press, 2019. Hunter, Ian (2019). Theory and practice in the natural law of Christian Thomasius. In Ian Hunter and Richard Whatmore (Ed. ), Philosophy, rights and natural law: essays in honour of Knud Haakonssen (pp. 169-195) Edinburgh, United Kingdom: Edinburgh University Press. Hunter, Ian (2018). Spirituality and philosophy in Kant's Critique of Pure Reason. , Institute for Advanced Studies in the Humanities, University of Queensland. Law and politics in British colonial thought: Transpositions of empire. Edited by Shaunnagh Dorsett and Ian Hunter New York, U.S.A.: Palgrave Macmillan, 2010. Thomasius, Christian, Hunter, Ian, Grunert, Frank and Ahnert, Thomas Essays on church, state, and politics. Edited by Ian Hunter, Frank Grunert, Thomas Ahnert and Knud Haakonssen Indianapolis, IN, U.S.A.: Liberty Fund, 2007. Hunter, Ian The Secularisation of the Confessional State: The Political Thought of Christian Thomasius. Cambridge, UK: Cambridge University Press, 2007. The Philosopher in Early Modern Europe: The Nature of a Contested Identity. Edited by Conal Condren, Stephen Gaukroger and Ian Hunter Cambridge, UK: Cambridge University Press, 2006. The philosopher in early modern Europe: The nature of a contested identity. Edited by Condren, Conal, Gaukroger, Stephen and Hunter, Ian Cambridge, United Kingdom: Cambridge University Press, 2006. Heresy in Transition: Transforming Ideas of heresy in medieval and early modern Europe. Edited by Ian Hunter, John Christrian Laursen and Cary J. Nederman Aldershot, UK: Ashgate Publishing Limited, 2005. Natural Law and Civil Sovereignty: moral right and state authority in early modern political thought First ed. Edited by Ian Hunter and David Saunders Basingstoke; New York: Palgrave/Macmillan, 2002. Hunter, Ian (2014). The law of nature and nations. In Aaron Garrett (Ed. ), The Routledge Companion to Eighteenth-Century Philosophy (pp. 559-592) Milton Park, Abingdon, Oxon, UK: Routledge. Hunter, Ian (2014). The uses of natural law in early modern Germany: Christian Thomasius's reshaping of the legal persona. In Christian Thorsten Callisen (Ed. ), Reading and Writing History from Bruni to Windschuttle: Essays in Honour of Gary Ianziti (pp. 125-140) Farnham, England: Ashgate. Hunter, Ian (2013). The Tolerationist Programs of Thomasius and Locke. In Jon Parkin and Timothy Stanton (Ed. ), Natural law and toleration in the early enlightenment (pp. 107-137) Oxford, United Kingdom: Oxford University Press. Hunter, Ian (2012). Kant's political thought in the Prussian enlightenment. In Elizabeth Ellis (Ed. ), Kant's political theory: interpretations and applications (pp. 170-207) University Park, PA, United States: Pennsylvania State University Press. Hunter, Ian (2012). Theory time: on the history of poststructuralism. In Mark Finnane and Ian Donaldson (Ed. ), Taking stock: the humanities in Australian life since 1968 (pp. 75-114) Nedlands, WA, Australia: University of Western Australia Press. Hunter, Ian (2011). Libertad religiosa y coaccion racional. Thomasius y Locke sobre la tolerancia. In Ma José Villaverde and John Christian Laursen (Ed. ), Forjadores de la tolerancia (pp. 116-140) Madrid, Spain: Editorial Tecnos. Hunter, Ian (2010). Die geschichte der philosophie und die persona des philosophen. In Martin Muslow and Andreas Mahler (Ed. ), Die Cambridge School der Politischen Ideengeschichte (pp. 241-283) Berlin, Germany: Suhrkamp Verlag. Hunter, Ian (2010). Global justice and regional metaphysics: On the critical history of the law of nature and nations. In Shaunnagh Dorsett and Ian Hunter (Ed. ), Law and politics in British Colonial thought: Transpositions of empire (pp. 11-30) New York, U.S.A.: Palgrave Macmillan. Hunter, Ian (2010). The man and the citizen: The pluralization of civil personae in early modern German natural law. In Anna Yeatman and Magdalena Żółkoś (Ed. ), Security, state and subject formation (pp. 16-35) New York, U.S.A.: Continuum International Publishing Group. Hunter, Ian (2009). The shallow legitimacy of secular liberal orders: The case of early modern Brandenburg-Prussia. In Geoffrey Brahm Levey and Tariq Modood (Ed. ), Secularism, religion and multicultural citizenship (pp. 27-55) Cambridge, UK: Cambridge University Press. Hunter, Ian, Ahnert, Thomas and Grunert, Frank (2007). Introduction. In Knud Haakonssen (Ed. ), Essays on church, state, and politics (pp. ix-xxi) Indianapolis, U.S.A.: Liberty Fund. Gaukroger, S., Hunter, Ian and Condren, Conal (2006). Introduction. In Conal Condren, Stephen Gaukroger and Ian Hunter (Ed. ), The philosopher in early modern Europe: The nature of a contested identity (pp. 1-16) Cambridge, UK ; New York: Cambridge University Press. Hunter, Ian (2006). Sacrilege: From public crime to personal offence. In Elizabeth Burns Coleman and Kevin White (Ed. ), Negotiating the sacred: Blasphemy and sacrilege in a multicultural society (pp. 109-117) Canberra, Australia: ANU ePress. Hunter, Ian (2006). The university philosopher in early modern Germany. In Conal Condren, Stephen Gaukroger and Ian Hunter (Ed. ), The philosopher in early modern Europe: The nature of a contested identity (pp. 35-65) Cambridge, UK: Cambridge University Press. Hunter, Ian (2005). Thomasius on the toleration of heresy. In Ian Hunter, John Christian Laursen and Cary J. Nederman (Ed. ), Heresy in Transition; Transforming ideas of Heresy in Medieval and Early Modern Europe (pp. 155-167) Hants, UK: Ashgate Publishing Limited. Hunter, Ian (2004). Christian Thomasius' treatise on the right of protestant princes regarding Heretics. In J.G. Buickerood (Ed. ), Eighteenth Century Thought (pp. 57-98) New York: AMS Press Inc.
Hunter, Ian (2004). Multiple enlightenments: Rival Aufklarer at the University of Halle 1690 - 1730. In Martin Fitzpatrick, Peter Jones, Christa Knellwolf and Iain McCalman (Ed. ), The Enlightenment world (pp. 576-595) New York, USA: Routledge. Saunders, David and Hunter, Ian (2003). Introduction. In Ian Hunter and David Saunders (Ed. ), Samuel Pufendorf: The whole duty of man, according to the law of nature (pp. ix-xviii) Indianapolis: Liberty Fund. Hunter, Ian (2003). The love of a sage or the command of a superior: The natural law doctrines of Leibniz and Pufendorf. In T. J. Hochstrasser and P. Schroeder (Ed. ), Early modern natural law theories: Context and strategies in the early Enlightenment (pp. 169-193) Dordrecht, The Netherlands: Kluwer Academic Publishers. Hunter, Ian (2018) Public law and the limits of philosophy: German idealism and the religious constitution. Critical Inquiry, 44 3: 528-553. Hunter, Ian (2017) Pufendorf’s philosophy. Online Library of Liberty, 1-1. Hunter, Ian (2017) Response to Haakonssen. Online Library of Liberty, 1-1. Hunter, Ian (2010) Scenes from the history of poststructuralism: Davos, Freiburg, Baltimore, Leipzig. New Literary History, 41 3: 491-515. Hunter, I. R. (2008) The Desire for Deconstruction: Derrida's Metaphysics of Law. Communication, Politics & Culture, 41 1: 6-29. Hunter, Ian (2007) Natural law, historiography, and Aboriginal sovereignty. Legal History, 11 2: 137-168. Hunter, Ian (2005) The passions of the prince: Moral philosophy and Staatskirchenrecht in Thomasius's conception of sovereignty. Cultural and Social History: Official Journal of the Social History Society, 2 113-129. Hunter, Ian (2004) Conflicting obligations: Pufendorf, Leibniz and Barbeyrac on civil authority. History of Political Thought, 25 4: 670-699. Hunter, Ian (2004) Reading Thomasius on heresy. Eighteenth Century Thought, 2 39-56. Saunders, David and Hunter, Ian (2003) Bringing the state to England: Andrew Tooke's translation of Samuel Pufendorf's 'De officio hominis et civis'. History of Political Thought, 24 2: 218-234. Hunter, Ian (2000) Book review: The invention of autonomy: A history of modern moral philosophy. Philosophical Review, 109 3: 444-447. Hunter, Ian (1996) Literary theory in civic life. South Atlantic Quarterly, 95 4: 1099-1134. Hunter, Ian (2014). Law, war, and empire in early modern protestant Jus Gentium: the casuistries of Gentili and Vattel. In: Centro Internazionale di Studi Gentiliani, Alberico Gentili: Giustizia, Guerra, Impero. Atti del convegno, XIV Giornata gentiliana. Convegno XIV Giornata Gentiliana, Milan, Italy, (151-168). 24-25 September 2010. Hunter, Ian (2009). Theory time: on the history of poststructuralism. In: The Humanities in Australia: Taking Stock. The 40th Annual Symposium of the Australian Academy of the Humanities, Canberra, Australia, (3-25). 19-20 November 2009. Hunter, Ian (2003). Arguments over obligation: Teaching time and place in moral philosophy. In: J. B. Schneewind, Teaching the New Histories of Philosophy: Proceedings of a Conference. Teaching the New Histories of Philosophy: A Conference, Princeton, NJ, United States of America, (131-168). 4-6 April 2003. Hunter, Ian (2015) Introduction to Christian Thomasius, Cautelen zur Kirchenrechts-Gelahrheit. Hunter, Ian (2015). Heideggerian mathematics: Badiou's Being and Event. , Centre for the History of European Discourses, The University of Queensland. Hunter, Ian (2014). Secularisation: the emergence of a modern combat concept. , Centre for the History of European Discourses, University of Queensland. Hunter, Ian (2009) Global Justice and Regional Metaphysics: On the Critical History of the Law of Nature and Nations. Hunter, Ian (2005) Religious Offences and Liberal Politics: From the Religious Settlements to Multi-Cultural Society. Hunter, Ian (2003) Kant and the Prussian Religious Edict: Metaphysics within the Bounds of Political Reason Alone.